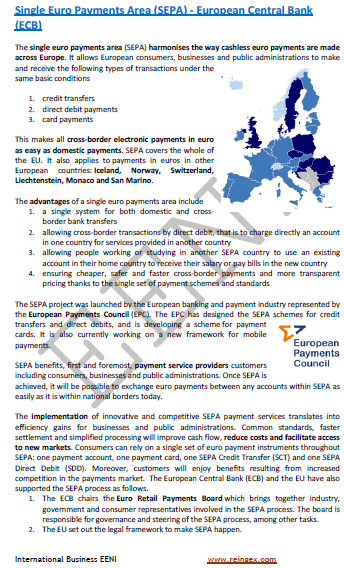 Syllabus of the Online Course (Subject): International Payment Methods. Letters of Credit. Documentary credits UCP 600. Credits of the Online Course / Subject “Methods of payment/Letters of Credit”: 4 ECTS. As well as, the student learns about the key checklists to take into account when preparing documents for presentation under documentary credit. The focus will be on export methods of payment. 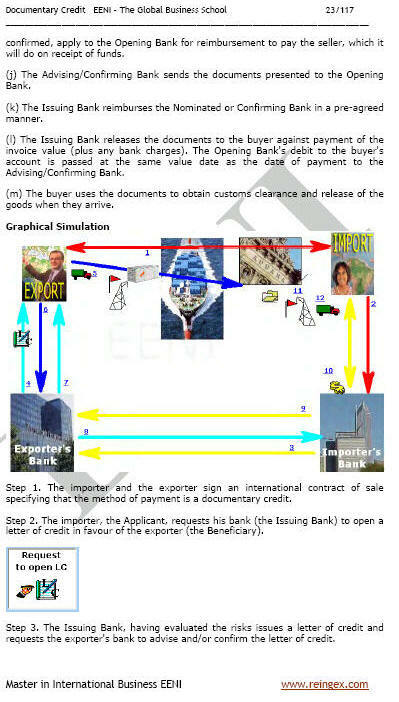 The information presented here is also applicable to import transactions. The selection of the most suitable method of payment is a key factor of a successful export sale. 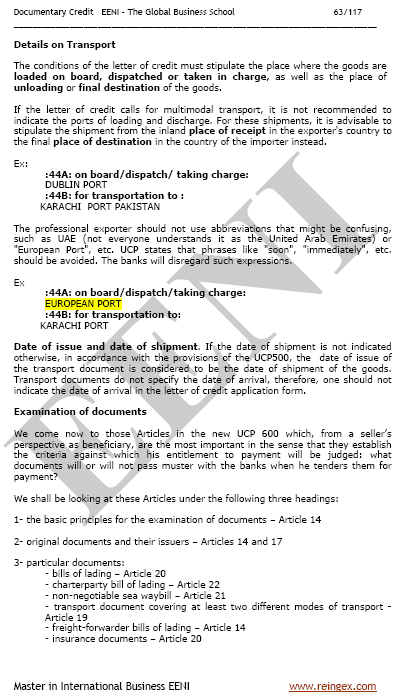 A documentary credit is an agreement under which a Bank is acting at the request and on instructions of the importer makes an undertaking to effect payment to the exporter against presentation of the required documents within the specified period, provided that the documents strictly comply with the terms and conditions stipulated in the documentary credit. The Letters of Credit are more favourable for exporters rather than importers, as they are aimed at protecting the exporter. This is a short but crucial subject. The ability of the trade practitioner and their bankers to issue documentary credits, which are complete and precise, is essential. This subject will familiarise the student with the role of the Issuing Bank, how to complete the documentary credit application form and most importantly how to analyse the credit as issued. Warehouse Receipt (FIATA FWR): FWR is a non-negotiable document, unless it is expressly specified as negotiable (to order). It is a method of payment whereby the exporter initiates, through the banking system, the collection of money due to him from the importer. Payment will be made against a Bill of Exchange and documents of title. Documents can be released against acceptance of the Bill of Exchange or payment at sight. This subject will give the student a practical understanding of this popular method of payment. In this subject; we will provide practical examples of the application of URC 522. All serious International Trade specialists should obtain a copy of this International Chamber of Commerce Publication.